I’m glad at least someone is paying attention to the French. A couple of days ago Anthony Cook of blogofcookie.com noticed some interesting screenshots from a presentation at the Microsoft France training event “TechDays 09” of what appeared to be a different user-interface for Windows 7. However contrary to his speculation that this was to be the speculated theme refresh under wraps for Windows 7, it is in fact a screenshot of an old “superbar” prototype. In this version of the superbar (presumably by default) labels are still enabled. 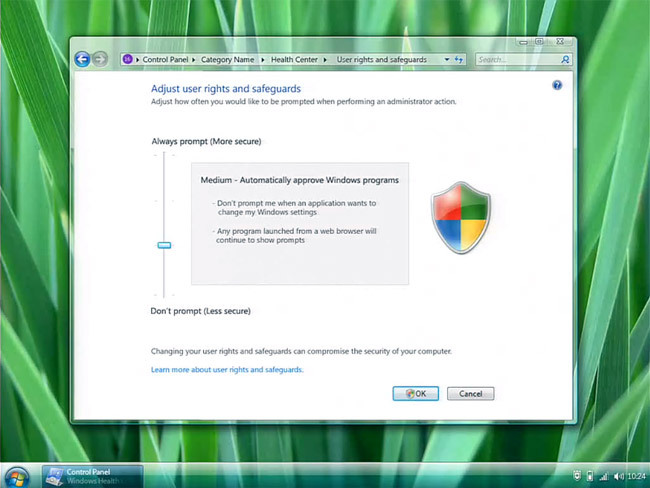 Unlike the labels in the version of Windows 7 today which just feature an application window’s title in a single line, it appears to be a multi-line label separating the name of the application and a subtitle indicating the contents of the current window.